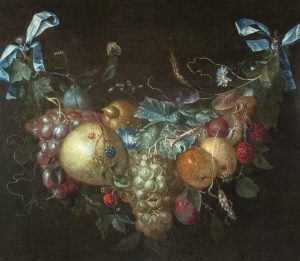 Pieter Gallis (1633, Enkhuizen – 1697, Hoorn), was a Dutch Golden Age painter. According to Houbraken, he painted as a hobby, since he earned his living as the director of the local Bank van Lening. He specialized in landscapes, flowers, fruit and other forms of still life. He was a very friendly man, especially to artists and art collectors. He was active in Enkhuizen (and perhaps Amsterdam), in Purmerend from 1679–1683, and in Hoorn from 1683 until his death.